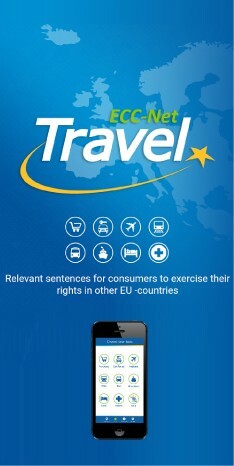 Certain passenger rights apply for travelling by train across the EU countries. Several countries applied exceptions from the common rules, but you can be sure that the rules apply for delays or cancellations of services in international transport. The rail transport offers many interesting possibilities for summer travelling around Europe. However, countries significantly differ in rail network density, number of connections as well as their quality and of course price. Railway companies offer a range of special offers, including network tickets InterRail allowing unlimited travel in your chosen countries or the whole of Europe on as many days as you choose to cover. Also certain passenger rights apply for travelling by train, which are valid in all EU countries but are applied in full entirety in international long-distance transport in Europe. Some states have negotiated exceptions during transitional period, upon which the railway carriers do not have to pay compensations to passengers in national, regional, and respectively in long-distance transport. When the service is delayed by more than 60 minutes in international and domestic rail passenger services in most EU countries, passengers have the right to choose between cancellation of the travel connected with reimbursement of fare, and continuation or re-routing (including continuation by alternative transport service) connected with financial compensation from the carrier. The amount of compensation is 25% of the ticket price for a delay of 60 minutes to 119 minutes, and 50% of the ticket price for a delay of 120 minutes and more. The carrier is not obliged to pay any payment for compensation if the compensation amount were less than 4 EUR. Special conditions issued by a carrier are valid for compensations calculated from prices of selected tickets, such as season tickets and network passes. Transport conditions of carriers can provide higher level of compensation, respectively compensation for passengers in case of shorter delays. If the delay is more than 60 minutes and a passenger wants to continue his journey, he/she shall be offered free of charge refreshment in reasonable relation to the waiting time and for hotel accommodation if necessary. However, in practice, the railway carriers can provide transport by taxi to the final destination. Ask the carrier to provide you with confirmation and information on where to submit the claim for compensation in case of delay. If the carrier does not provide refreshment or accommodation, you can buy it yourself for a reasonable price and later ask the carrier to reimburse the costs based on receipts. Decree of the Ministry of Transport No. 175/2000 Coll. (so called Transport Code) is the basis for passenger rights for domestic journeys in the Czech Republic laying down the rights of passengers in case of delay or cancellation of a service, similarly as in the European Regulation. Please note that the Czech Republic applies an exception from the European system of compensations for delays and cancellations of services in domestic transport. However, at present, the Czech Railways company voluntarily complies with the European system of compensations. In the Czech environment there is this limiting factor that the entitlement for financial compensation in case of delays of less than 2 hours can be applicable only for passengers with tickets that cost more than 400 CZK, because the minimum amount of compensation is EUR 4, and sale of one-way tickets in such price range is not very frequent in Czech Republic. Please note that private carriers also have their own systems for passenger compensations. You have the right for refund of fare and travel cancellation when the delay is more than 60 minutes in domestic transport. Czech Railways voluntarily offer a refund for any delay. If you miss a connecting service, you can choose either the ending of your journey in the transfer station and ask for refund of proportional part of the ticket price, or continuation to your final destination at the earliest opportunity, or return to the place of departure with a full refund of the ticket price.